On March 24, Communications professor Mike Watson will present The Revolution Will be Live-Streamed, an exhibition in Palermo, Italy, featuring an audiovisual installation together with multimedia works. This project is an anticipation of Politics of Dissonance - a festival of sound, noise, political video, and VJ performance - selected an official collateral event of Manifesta 12. John Cabot University is pleased to announce that Professor Michael Driessen has won the prestigious Jean Monnet Fellowship to continue research on interreligious dialogue at the European University Institute (EUI) in Florence, Italy. Michael Driessen is Associate Professor and chair of the department of Political Science and International Affairs at John Cabot University where he also co-directs the University’s Interfaith Initiative. Professor Driessen’s research focuses on the role of public religions in Catholic and Muslim societies. Professor Nicola Petrocchi, Ph.D, Psy.D, is a licensed CBT psychotherapist and student counselor. During his international Ph.D in Psychology and Social Neuroscience, he conducted research on the effect of Loving Kindness Meditation (LKM) on mild depression. 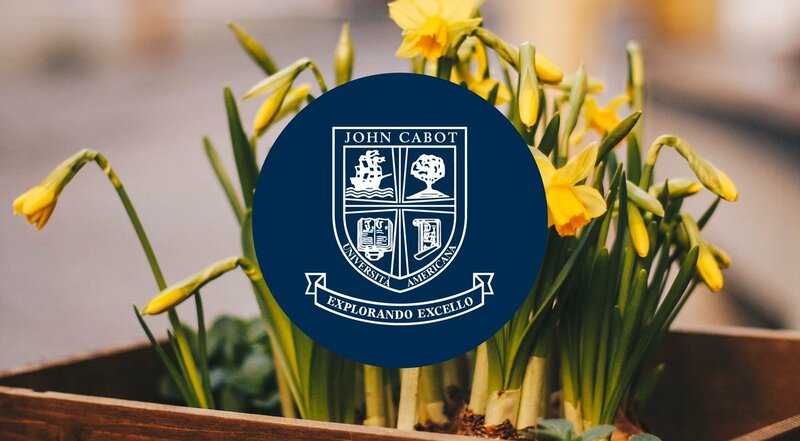 Under the tutelage of Silvia Pulino, Director of John Cabot’s Institute for Entrepreneurship and Professor of Business Administration, six ten-year-old entrepreneurs created their own company, KidsUP!, starting with an idea and developing it through design, production, marketing, and sales. Political Science and International Affairs Professor Seth Jaffe recently participated in two academic events in the USA. Alessandra Grego is Adjunct Assistant Professor of English at JCU. A Professor with a 20-year experience, she has taught at JCU since 2003. Seth N. Jaffe, Assistant Professor of Political Science at John Cabot University, recently participated in two academic events in Berlin. Professor Antonella Salvatore hosted Hays Italia representatives Valerio Tabascio and Pasqualina Lepore in her class Professional Skills for Career Development on Friday, November 3. On Tuesday, November 7, the JCU Department of Political Science and International Affairs hosted its first Departmental Reception. Professors Bridget Welsh and Michael Driessen welcomed alumni, current students, and fellow-instructors in the Aula Magna to help them reconnect and socialize. Prof. Salgó delivers a paper at the annual conference of the Millenium Journal of International Studies at the London School of Economics and Political Science.